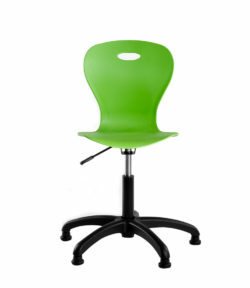 Based on the Postura Plus classroom chair and with their great range of 16 colours. 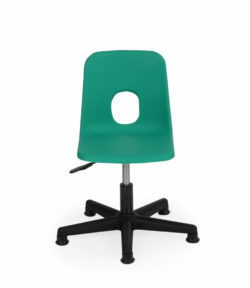 If you use Postura Plus classroom chairs in your organisation you’ll be familiar with their quality and durability. 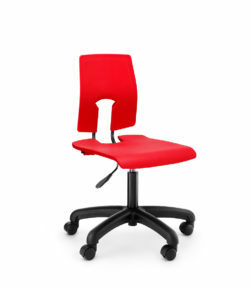 The same can be said for the Postura Plus IT chair which uses the same comfortable seat shell. 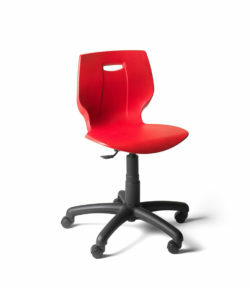 Choose from glides (non movable) or castors (movable). Suitable for ages 11 upwards as the gas lift adjustment allows seat height movement from 358 mm to 493 mm, depending on whether you specify glides or castors. TEN year guarantee on the seat shell with a FIVE year guarantee on the frame and parts. 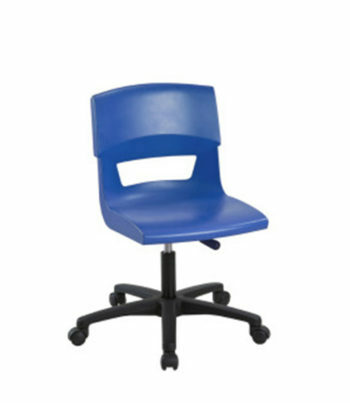 A comfortable, attractive and durable IT chair. Highly recommended. Also available with a chrome base. Please add £ 8.50 to the above prices.